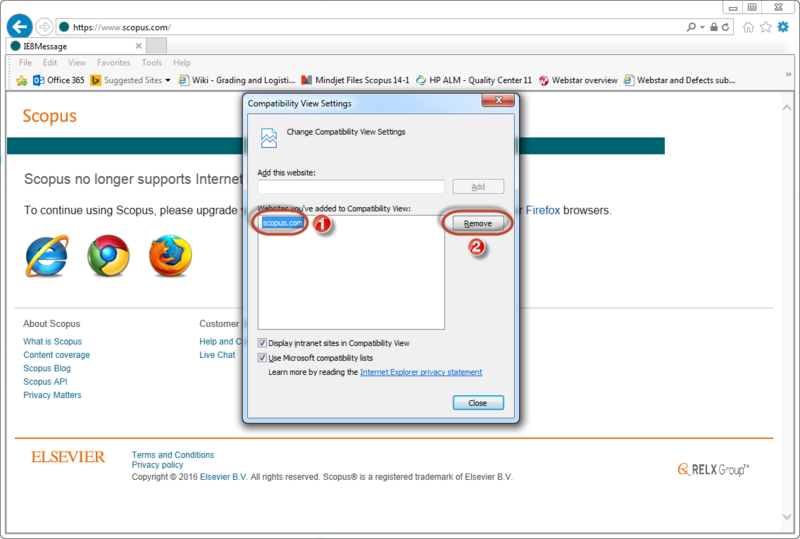 If you use Internet Explorer 11 (IE11) to access scopus.com and are receiving a “browser not supported page,” you will need to disable the “Compatibility View” setting for scopus.com. To do this, follow the steps below (click on the images to enlarge). 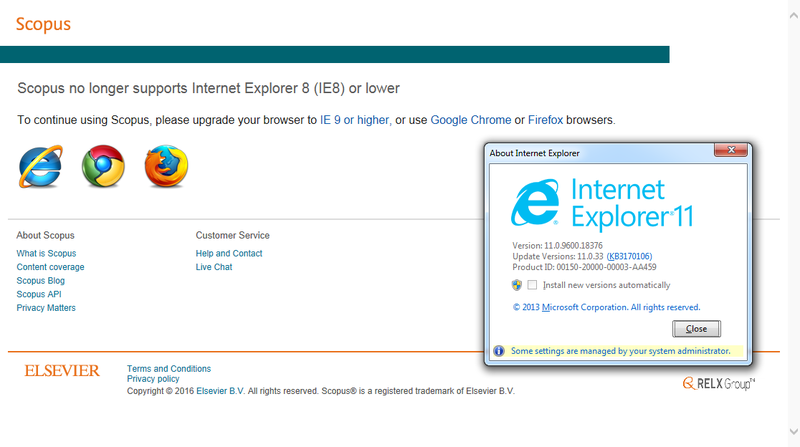 Step 1: In IE11 click the “Tools” tab or the tools icon and select “Compatibility View settings” from the menu. 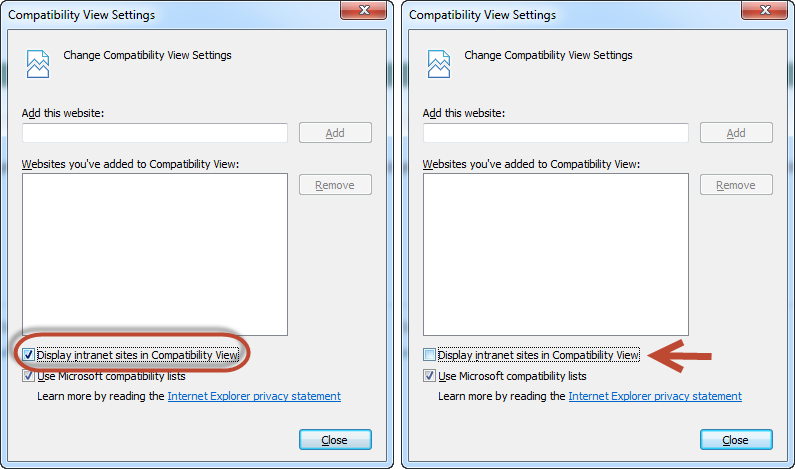 Step 2: A pop-up will appear with scopus.com listed as one of the websites added to the ‘Compatibility Views’ box. Select scopus.com from the list and click on ‘Remove.’ Once this is completed, the browser should automatically reload scopus.com. If it does not and you are still experiencing issues, please continue to Step 3 below. 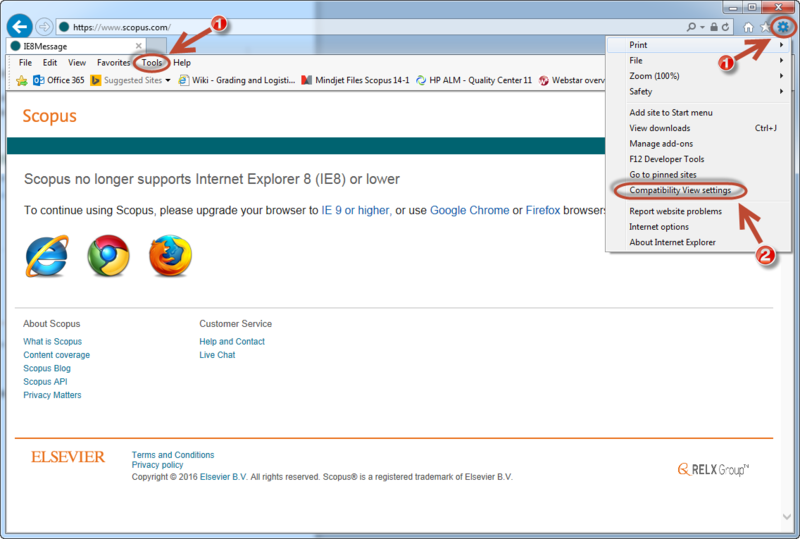 Step 3: If your institution has set up scopus.com as an intranet website, you will need to disable the “display intranet sites in Compatibility View.” To do this, uncheck the box as displayed in the image below. If this still does not correct the issue, please contact your local Scopus customer support representative for further assistance.